Russian baker Olga Noskova is the latest baker to take the online world by storm with her cakey vision. She finishes off her baked goods with an eye-popping, extremely reflective icing that gives them the appearance of being made of something like glass or plastic. 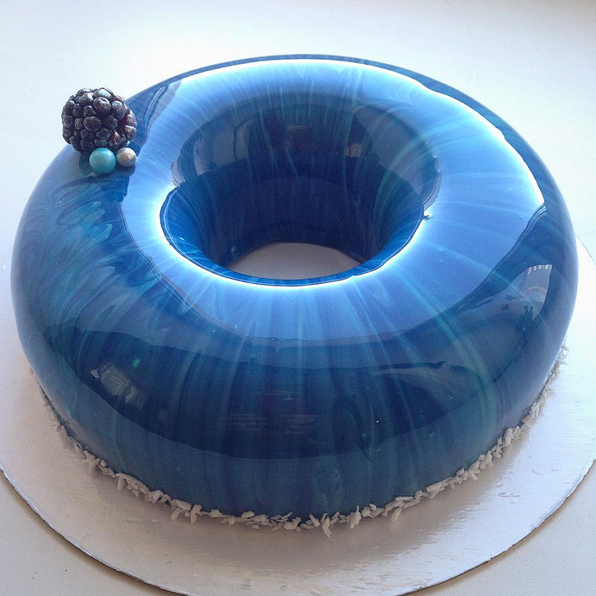 Today.com spoke with Thomas Vaccaro, dean of Baking and Pastry Arts for The Culinary Institute of America, who said the technique is called a “mirror glaze,” and, indeed, as is evident in the Instagram photo below, you can literally see your reflection in their shiny outer shell. It just goes to show you that you never know what old school technique might be waiting to capture the imagination of an entirely new generation. Think of it like the Ghostbusters reboot but in cake icing form! Except the Internet doesn’t hate these cakes.